Peter Dale Scott is one of the leading expe rts on what is called the “deep state”, the shadow government behind the visible one. Scott, a professor emeritus of English at Berkeley and former Canadian diplomat, is considered the father of “deep politics”, the study of hidden permanent institutions and interests. 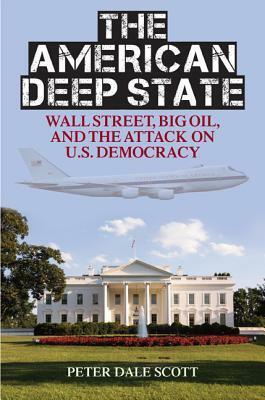 In The American Deep State: Wall Street, Big Oil, and the Attack on U.S. Democracy Scott takes a compelling look at the facts lurking behind the official histories of events to uncover the real dynamics in play (purchase thru: isbn.nu). In this exclusive excerpt, “The Deep State and the Bias of Official History,” (Oct 26, 2014) the first of several featured on WhoWhatWhy ~ Scott looks at the revolving door between Wall Street and the CIA, and what that demonstrates about where power truly resides.